This error is often related to a problem with the Plants vs. Zombies user files, such as your player profile and saved game information. It may have occurred because the game did not have a chance to close properly, causing the user files to become corrupt. To fix this error, the corrupt files have to be removed. This will allow the game to start normally and create new user files. The process for removing these files varies depending on your version of Windows. If you're using Windows XP, simply uninstalling and reinstalling the game will delete the user files. Select Plants vs. Zombies from the list and click the Change/Remove button. To reinstall the game, login into your account and then go to your Purchase History and click on the 'Download' icon next to Plants vs. Zombies. Uninstalling and reinstalling the game will not remove the user files if you are using Windows 7 or Vista. To remove the user file, it is necessary to manually locate and delete the files. At the bottom of the Start menu, type Folder Options into the Start Search box and press the Enter key. Click on the View tab and check Show hidden files and folders. Now, return to the Start menu and select Computer then Local Disk (C:). Please note: This folder's icon should appear faded, indicating that it is a hidden folder. 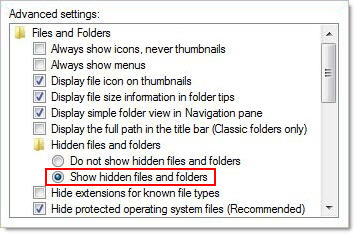 If you don't see the ProgramData folder, please make sure the option to Show hidden files and folders is enabled as described in steps 1 - 3. From the ProgramData folder, open the iWin folder, then the PlantsVsZombies folder. From the PlantsVsZombies folder, right click on the userdata folder and select Delete. If prompted, select Yes to confirm the deletion. After following these steps and deleting the userdata folder, try launching the game again. Once the game has loaded, it should prompt you to create a new user and allow you to play. Uninstalling and reinstalling the game will not remove the user files if you are using Windows 8 or 8.1. To remove the user file, it is necessary to manually locate and delete the files. Press the Home and x buttons on your keyboard, or hover over the bottom left corner of the screen and right-click. In the menu that appears, select File Explorer. Check the box for Hidden Items. Please note: This folder’s icon should appear faded, indicating that it is a hidden folder. If you don’t see the ProgramData folder, please make sure the option Show hidden files and folders is enabled as described in steps 1 – 3. From the PlantsVsZombies folder, right click on the userdata folder and select Delete. If prompted select Yes to confirm the deletion. Uninstalling and reinstalling the game will not remove the user files if you are using Windows 10. To remove the user file, it is necessary to manually locate and delete the files. What are MSN Download Games Backup CDs? How may I adjust my computer's screen resolution? How can I run my MSN game as the "Administrator"?